The pizza dough was trying to escape! This entry was posted in Weekly Photo Challenge and tagged Cooking, dinner, food, Photography, pizza dough, postaday. Bookmark the permalink. hehehhe great photo! 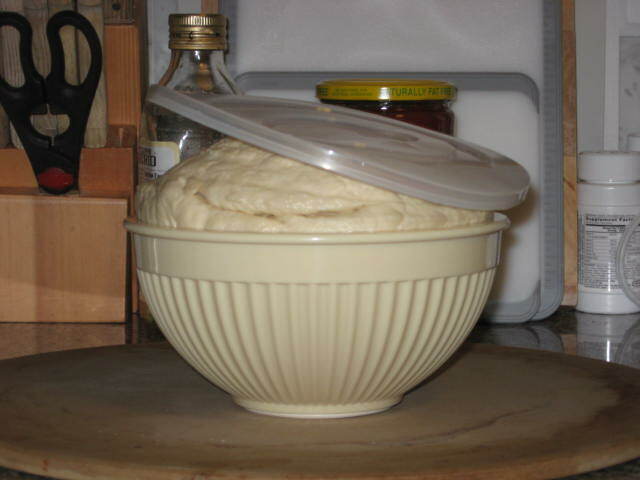 I’ve had pizza dough try and escape from a plastic container with clips on the sides in the fridge.